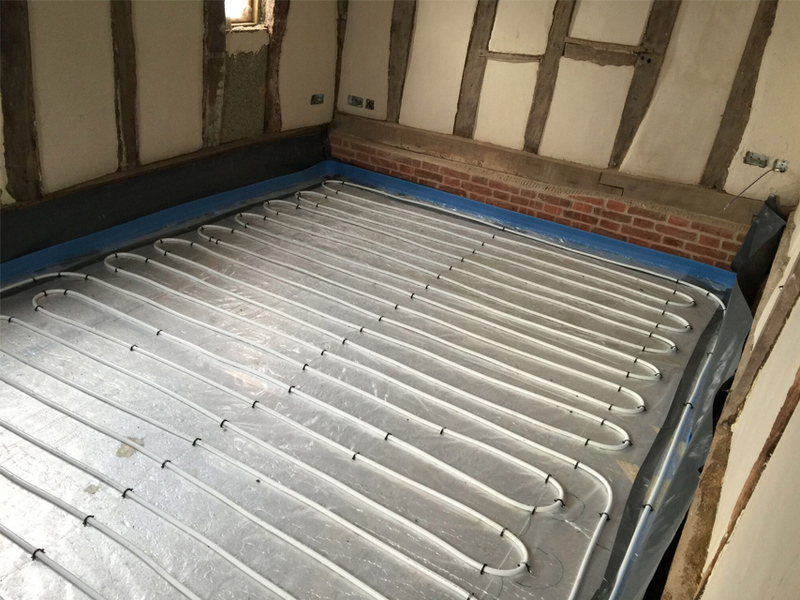 Hydronic underfloor heating is one of the oldest kinds of central heating and we have efficient economic solutions for new houses and as a retrofit for existing houses. 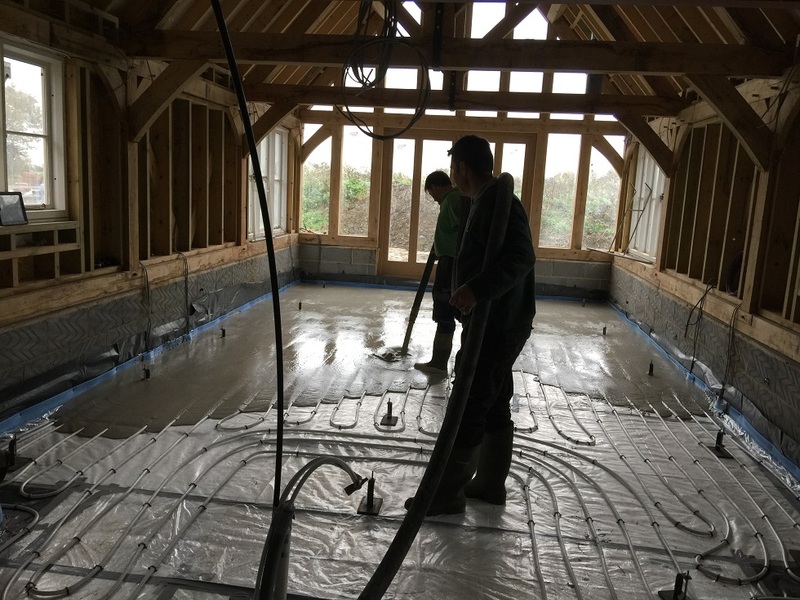 Underfloor heating performs better when it installed in an insulated concrete floor to keep the thermal mass at room temperature. 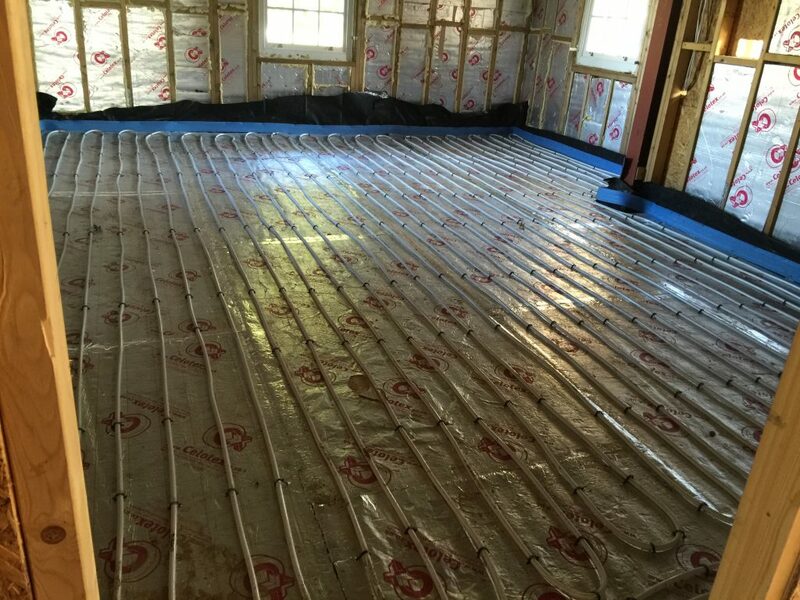 Our under floor system creates very comfortable and healthy, evenly rising warmth throughout the house. 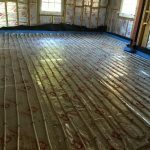 Underfloor heating is installed much more quickly and efficiently in large spaces, so laying pipe in a 100 m² hall is much quicker and more straightforward than laying in tight spaces in a domestic home. Of course, in addition to the comfort and the energy efficiency benefits, one of the key reasons for the continuing growth of underfloor heating systems is that they work so effectively in partnership with low-temperature renewable heat sources. 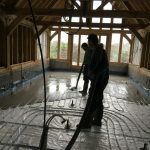 The water circulating within an underfloor heating system is typically between 35 and 45°C, compared with a traditional temperature of 70 to 80°C for radiators, meaning that the electrical demand from the heat pump is much lower and the coefficient of performance (COP) that can be achieved is much higher. Our control options a re tailor made to suit the property and customer needs. 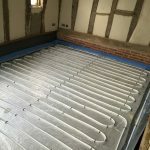 After understanding the customer needs and building requirements to keep the system efficiency we design the controls to provide our customer a easy and efficient control. devices.Home Center 2 redefines Z-Wave based home automation and introduces the real Home Intelligence. 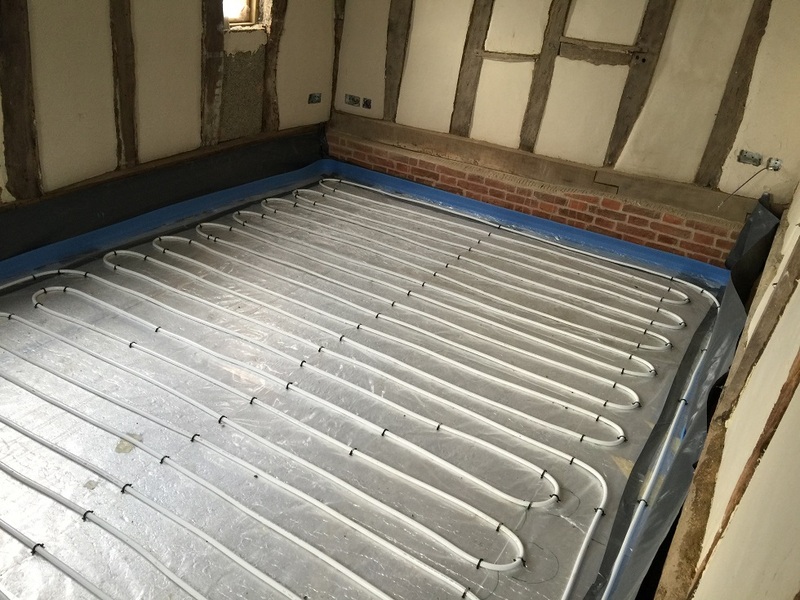 We can offer complete range of heat miser products to suit your control needs in you home. 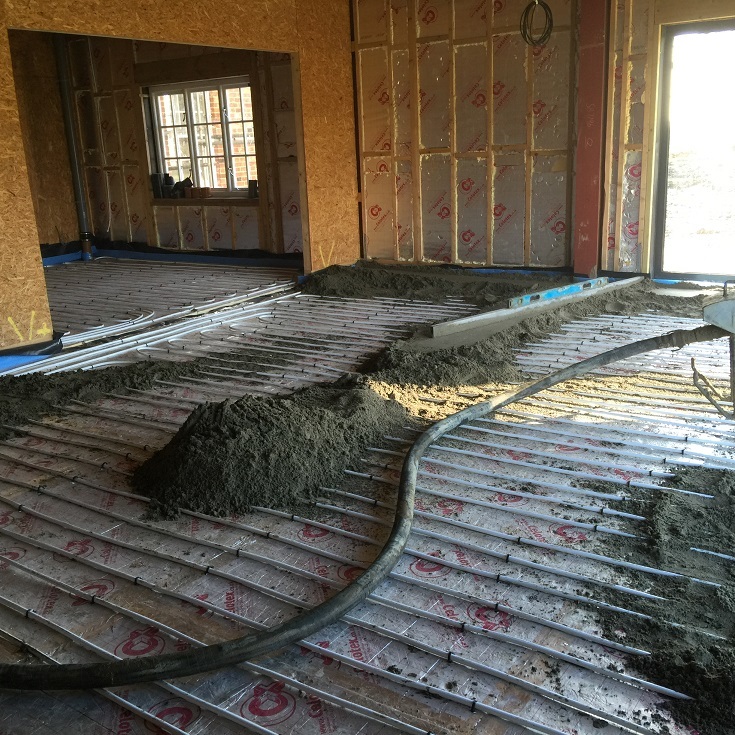 We will design the right controls by carefully considering you needs. The Heatmiser neoStat offers you a smarter way to control your heating from anywhere! The neoStat communicates to the neoHub and other neoStats within your home, to create a fully controllable network system of your home heating. The neoStat can be configured to work as a thermostat or as a timer- so if you want to take control of your towel rails, or lighting – Neo offers you this and more!